Guess what? March 14th is National Potato Chip Day. 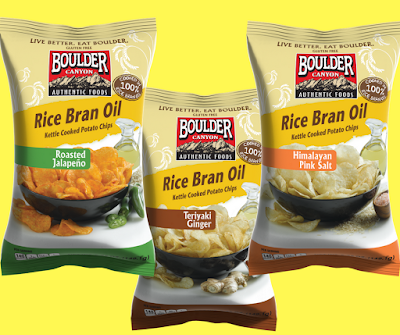 To celebrate this special day as well as introduce you to their newest varieties, natural food maker Boulder Canyon Foods is awarding one lucky Mommy Blog Expert reader with FIVE (5) coupons good for your choice of any of the brand's healthy kettle cooked chips. Enter the giveaway below, daily until 3/31/17 to increase your chances of winning. MommyBlogExpert's Boulder Canyon Giveaway ends March 31, 2017 at 12 am PT and is open to legal residents of the U.S. only. Boulder Canyon will award ONE (1) winner with five full value coupons good for free Boulder Canyon chip products. Winner of this MBE contest will be selected at random from all entries and will be notified via email and must respond within 24 hours to claim their prize. 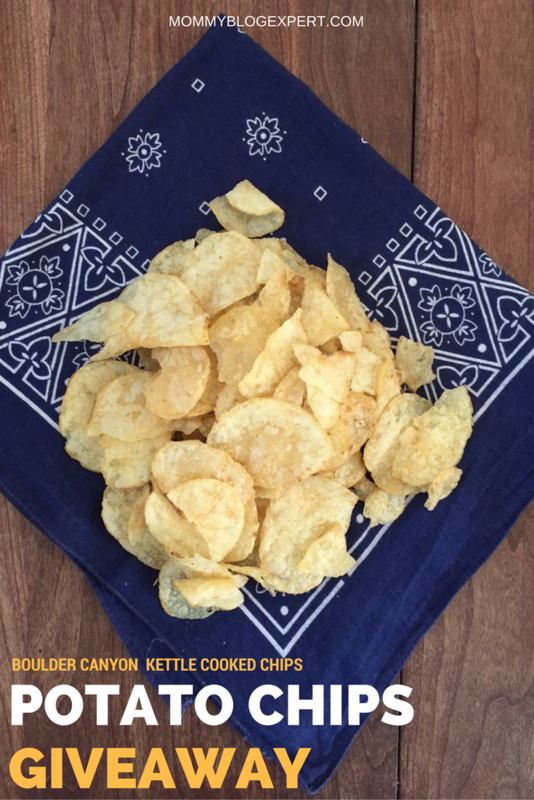 Boulder Canyon has humble beginnings as a craft kettle chip manufacturer started in 1994 by two brothers, Don and Jay Poore. 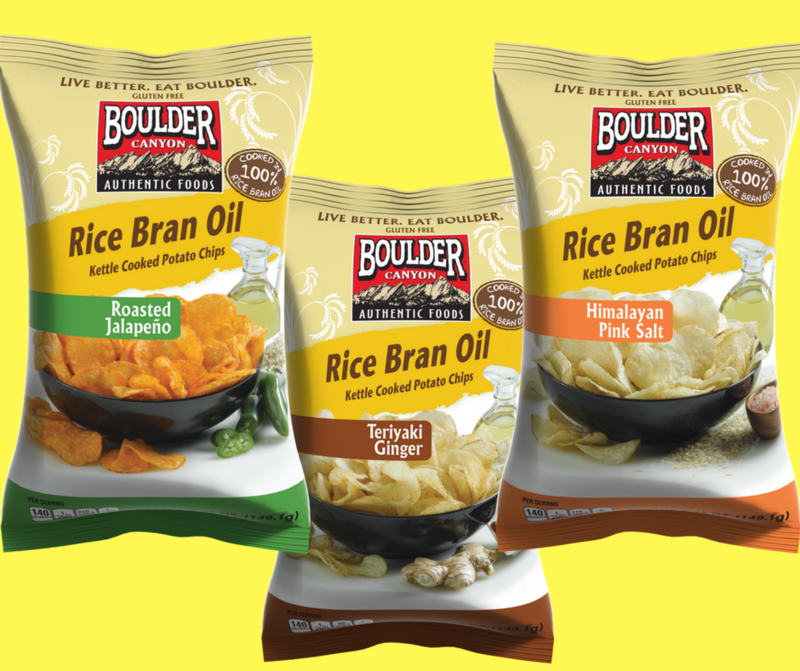 The brand's newest products (all certifed kosher, vegan, gluten-free and non GMO with no trans fat or cholesterol) include Rice Bran Oil Kettle Cooked Potato Chips in three flavors: Roasted Jalapeno, Teriyaki Ginger and Himalayan Pink Salt. I had a chance to taste the Teriyaki Ginger variety and they were indeed flavorful and crunchy without leaving my hand feeling oily. The newest offerings join 30+ more unique good-for-you healthy snacks in five categories: Kettle Cooked Potato Chips, Canyon Cut Kettle Cooked Potato Chips, Specialty Snack, Seasonal varieties (like Turkey & Gravy Kettle Cooked Potato Chips), and Popcorn. Visit the official site for more information on the healthy attributes of their crunchy, tasty snack line as well as follow Boulder Canyon on Facebook, Twitter and Pinterest. 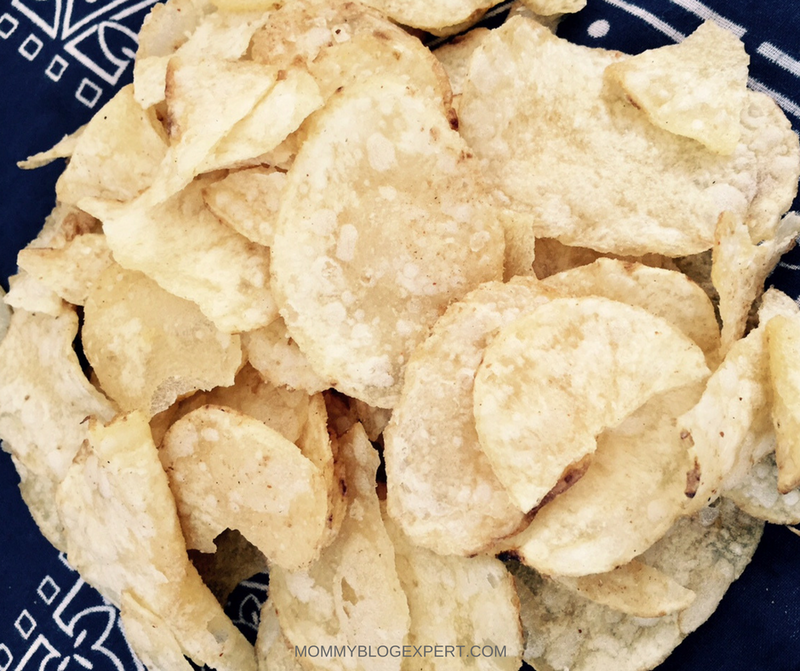 FTC Disclosure: MommyBlogExpert received product to facilitate this review and giveaway. Boulder Canyon is providing the prize as well as shipping to the winner. However opinions here are my own. See complete FTC Disclosure information that appears at the bottom of MommyBlogExpert's main page and at the bottom of every individual post on this blog, including this one.